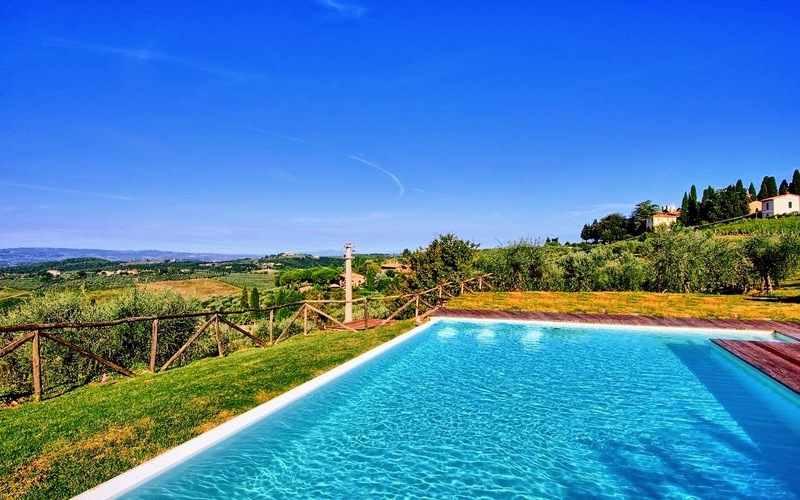 This property is situated in the hills between Florence and Siena and has all the characteristics for which this region is famous throughout the world: the Chianti countryside, its gentle rolling hills covered in vineyards (where a famous wine is produced), dotted with small wood and olive tree groves. 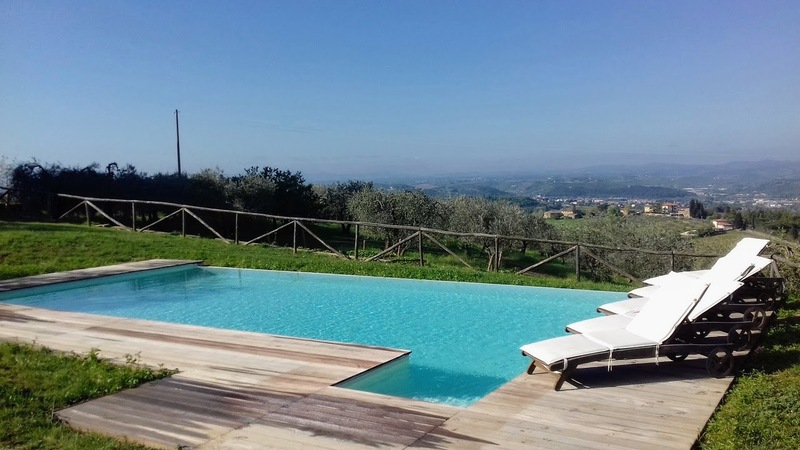 The geographic position of this farm allows you to easily and quickly reach both Florence and Siena, as well as San Gimignano and its towers, which are only a few kilometers away. 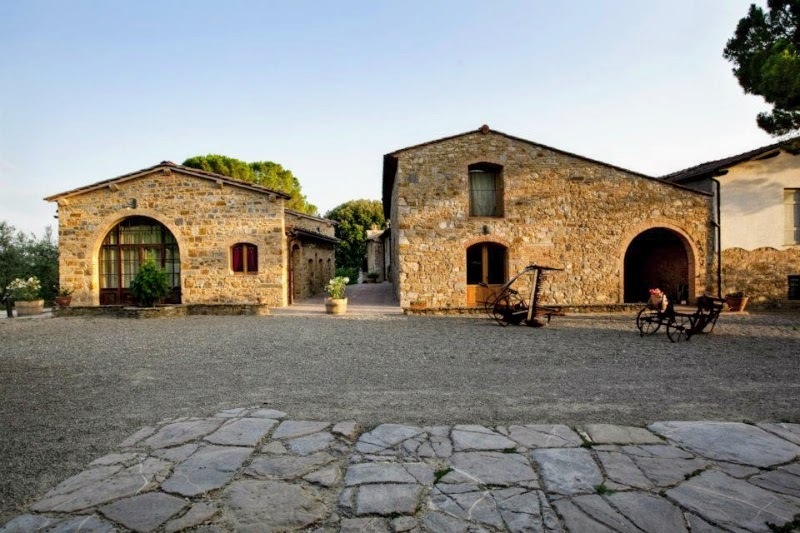 The complex is made up of a farmhouse containing two apartments (PAOLO and NOCE) and a second building where another apartment (LA BUCA) is located. 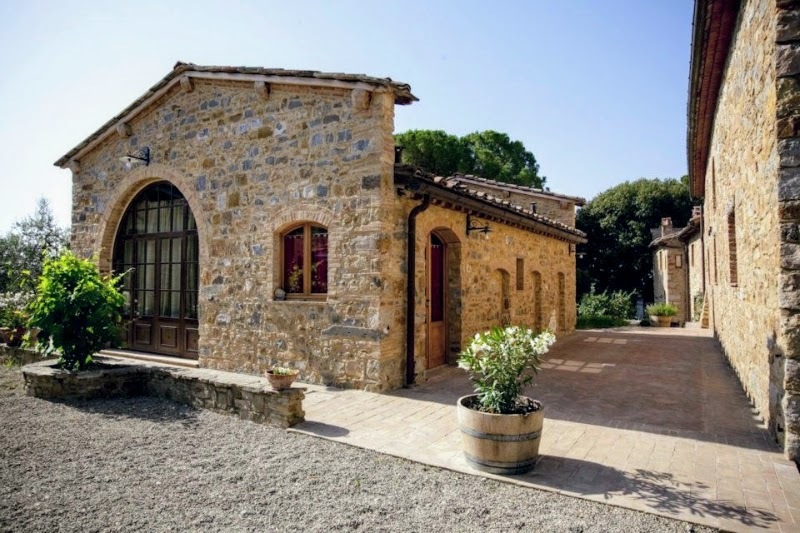 Each apartment has been tastefully renovated leaving the characteristic stone-walls and terracotta floors unaltered and has an outdoor area with a meadow- lawn with garden furniture and parking. Guests share a swimming pool (10,80 x 5,40 depth 1,20)(01/05-30/09) 100 meters from NOCE and PAOLO apartments and 1 km from LA BUCA apartment. Central heating and comfortable furnishings. On request you can have midweekly linen change and cleaning service. Access to the property by means of a dirt track of 1.5 km. PLEASE NOTE: small pets are allowed with an additional cost of 100 Euro/animal. 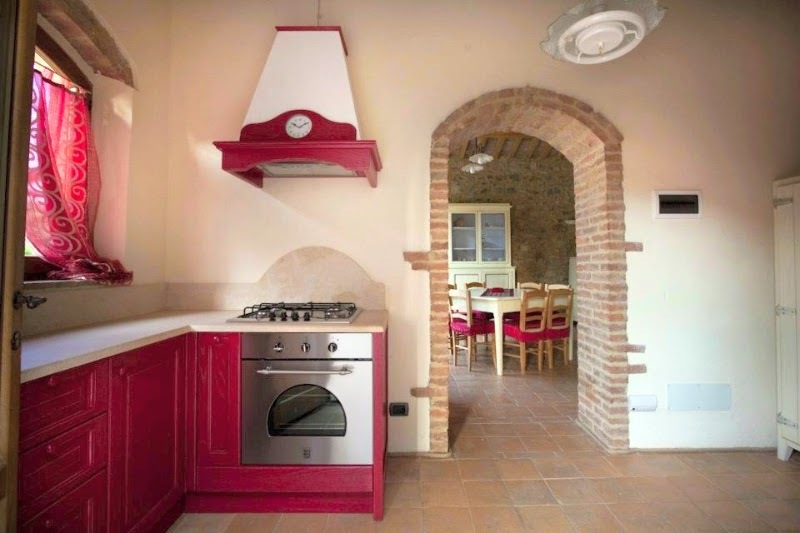 ACCOMMODATION: (75 m2) Gr. fl. 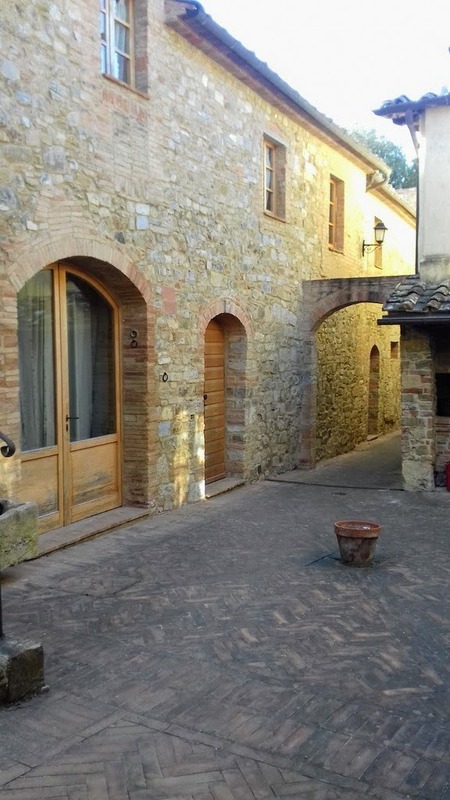 : entrance from a characteristic courtyard, living/dining room with fireplace, kitchen (oven, microwave, dishwasher) and access to the garden. 1st fl. : 1 double bedroom with bathroom with shower, 1 twin bedded room, 1 bedroom with bunk beds, 1 bathroom with shower. 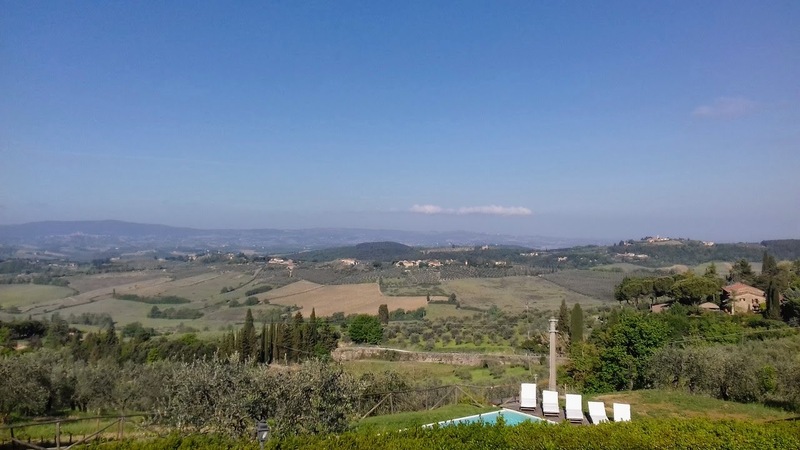 LOCATION: 5 km Poggibonsi (all kinds of shops), 17 km San Gimignano, 36 km Siena, 41 km Volterra, 45 km Florence. 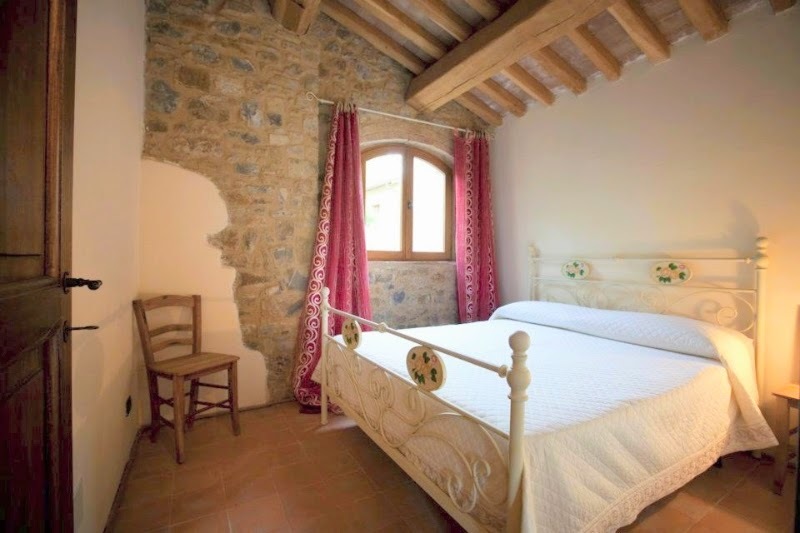 ACCOMMODATION: (60 m2) The building is detached from the rest of the structure and is just a few meters away. Gr. Fl. 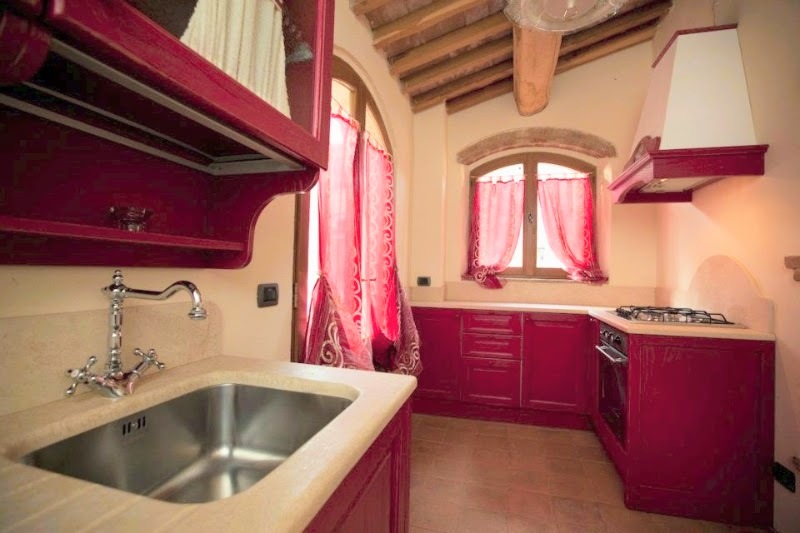 : living/dining room (TV) divided by an archway with a curtain from an alcove where there is a double bed and with access to the garden, kitchenette (oven, freezer, dishwasher), 1 double bedroom, 1 bathroom with shower. 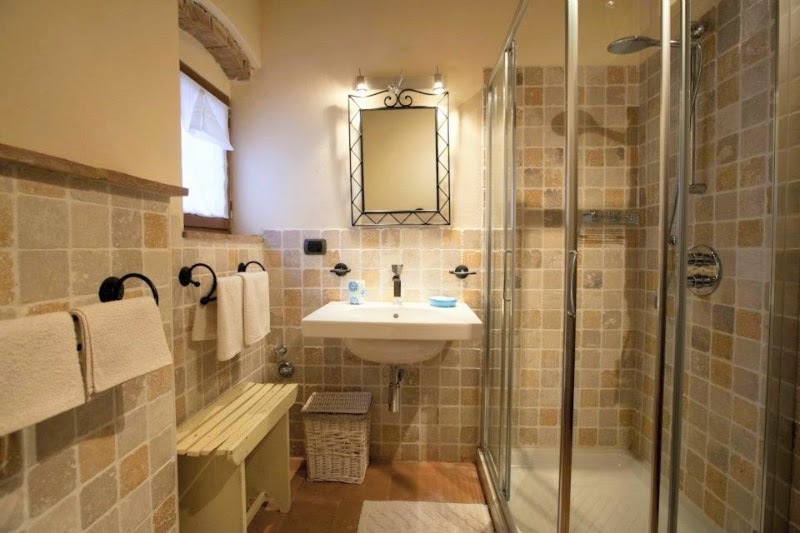 ACCOMMODATION: (80 m2) Gr. Fl. 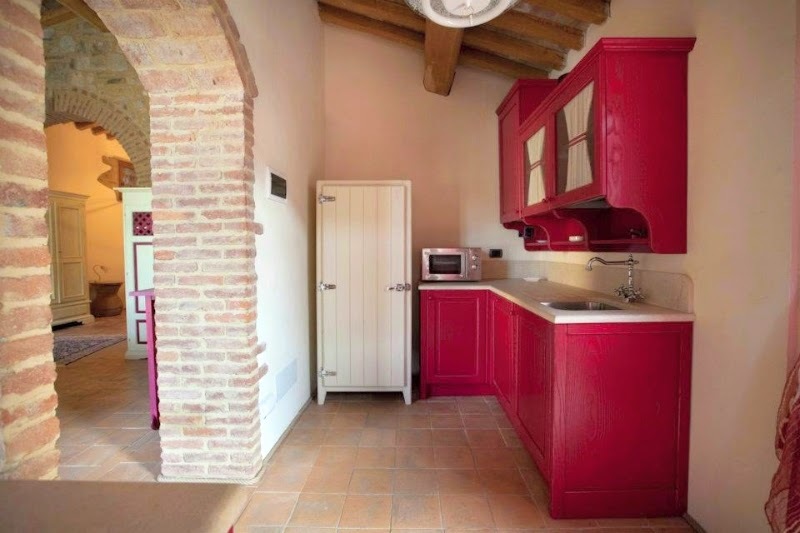 : (entrance from a characteristic courtyard), dining room, kitchen (freezer, oven, dishwasher, microwave), 1 bathroom with bath. 1st Fl. 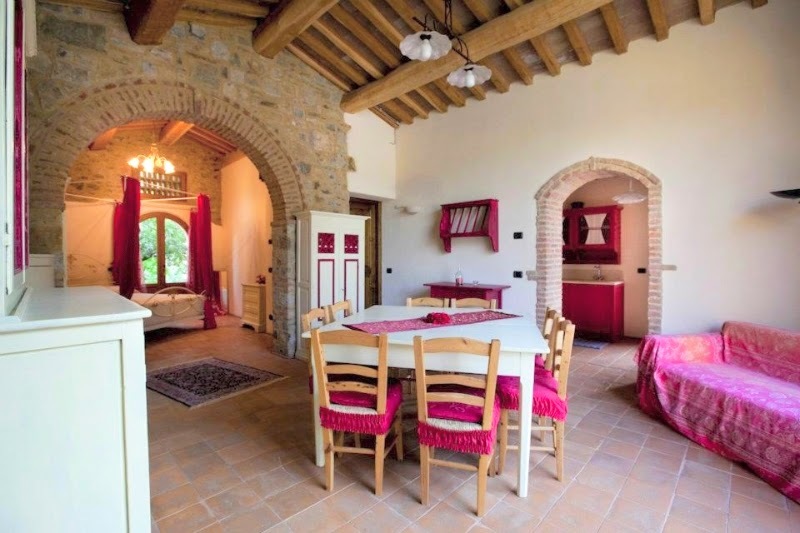 : (with entrance also from outside): living room with fireplace and small covered terrace, 1 twin bedded room. 2nd Fl. 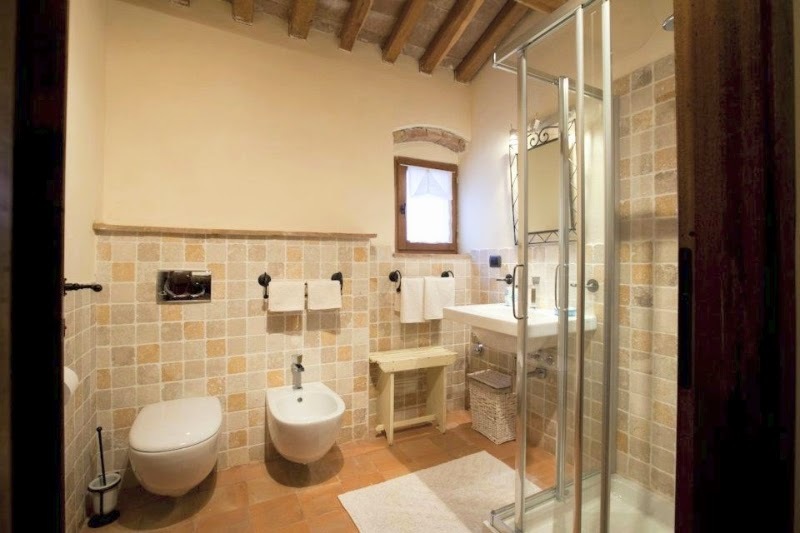 : (in the small tower) 1 double bedroom. 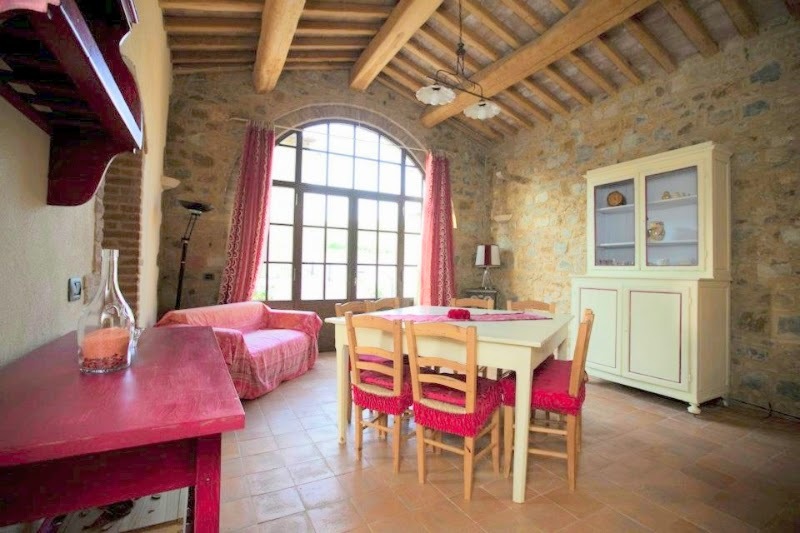 Appartement conforme aux photos grand et propre. La piscine est très belle et très bien équipée. 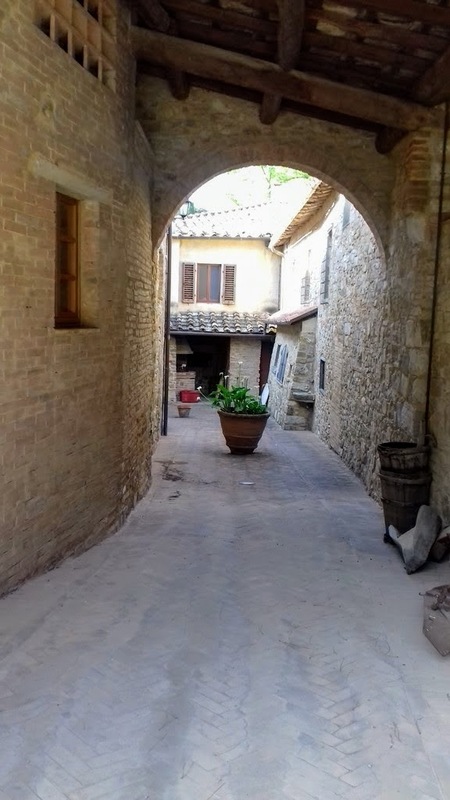 Les deux permettent d'avoir une très belle vue sur la campagne Toscane.Enfin notre hôtesse est très avenante et souriante.Je recommande vivement cette location.